How can you create space to score? Individual skill development is the answer. This drill from World Class Coaching will help your players create the needed space in order to get a shot on goal. This drill is set up with two groups of players that are working in a 10 – 15 yard area. Each group has a player that starts by a cone or training pole. The second player with the ball passes to their partner based on the skill or pass they are working on. The player that passes the ball then replaces the player working so there is a constant rotation around the grid and between the two lines. The pass is played into the partner who uses the outside of their foot to turn towards the outside and then connects pass with the player from the other line. This turn is important for forwards or any offensive player to learn and use when trying to create space to score in a game. 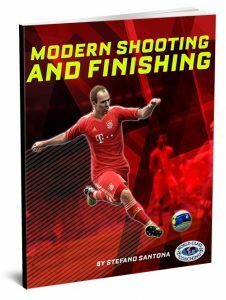 The objective is to turn towards the inside, which would set up a shot with the opposite foot. If the player uses the outside of their right foot to turn, they would be setting up a left footed shot. If the player used the outside of their left foot to turn, they would be setting up a right footed shot. This pass is used to get in behind a defense when a defender may be cheating or playing too aggressively. The player working sets up the play by acting like they are checking back to receive a pass, but then makes another move or back cut to run behind the defender into space. The partner passing the ball must be aware and read the play, as well as playing a properly weighted ball that gets into space in front of their partner so they don’t have to stop or slow down to receive it. There is a lot of timing involved between the players, but it’s a great pass to practice and work on with all different ages. 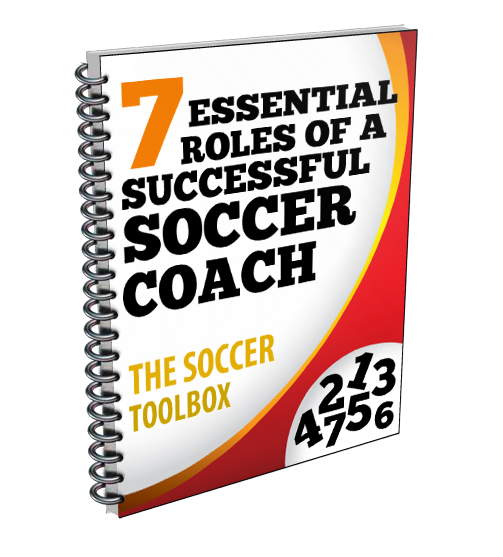 World Class Coaching offers many great coaching tools including eBooks and DVD. Click the link for more information about those products.